A kiss is probably one of the most known gesture around the world. Almost all cultures practice it. It bridges gaps and fixes rifts. A kiss is indeed a powerful tool one can employ in his or her existence. But what is in a kiss? Let’s try to settle something here. A kiss, according to Merriam-Webster, is to touch with the lips especially as a mark of affection or greeting. So simply put, when two lips touch as a form of reverence or affection, it’s a kiss. It can be as simple as a mother’s kiss on her newborn child or a stolen kiss from a high school crush. A kiss, in itself, is a complicated process. It may seem physically natural for most of us but there is more than just two pairs of lips locking in. Various studies have shown that our bodies react differently from one kiss to the other. It can be both physiological and psychological. In a study published on the Journal of Epidemiology and Community Health, babies who were smothered by motherly kisses and heavy affection were likely to become more resilient and less anxious adults. According to the study, adults who experienced more motherly warmth were likely to experience and succumb to distress later in life. Imagine that, kissing your kids as infants have a very profound effect on their lives as they get older. This is something that is fairly hard to explain in detail, much more on a simple manner. The study just shows that kissing not only occurs in the moment, but it sticks with the person as they move through life. Who doesn’t love kissing? Aside from it being a great way to show somebody your affection, it can actually do you some good. You don’t think so? Well, here are 10 well-known benefits of kissing. 1. People who kiss their partners goodbye live 5 years longer than those who don’t. 2. Kissing boosts your self-esteem. It helps you keep a positive state of mind by making you feel appreciated and loved. 3. Kissing is a calorie burner. You burn 2-3 calories per minute of kissing and it can double your metabolic rate. Some researches claim that 3 passionate kisses a day (averaging 20 seconds per kiss) will help you lose up to a pound a day. So start on that kissing regimen today! 4. A kiss can help you relieve stress. Passionate kissing helps in relieving tension, reduces negative energy, and helps in producing a positive sense of well-being. It has also been shown to lower the hormone cortisol which is known as the stress hormone. 5. Kissing every now and then helps keep your face tight and young looking. 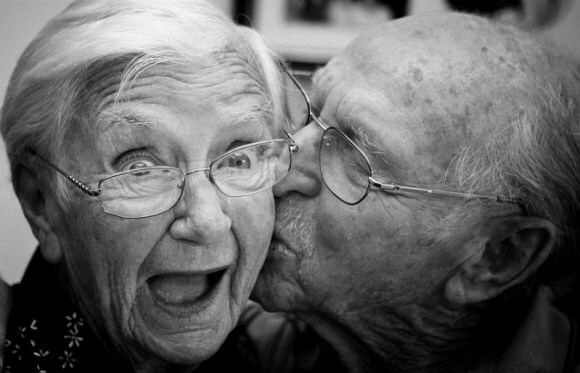 Kissing uses around 30 facial muscles. The tension on your facial muscles helps in keeping good blood circulation and keeps your skin smooth. 6. Kissing is excellent for the heart. Kissing helps in producing hormones that helps your heart pump more blood. Frequent kissing has been scientifically known to help in stabilizing cardiovascular conditions and helps in decreasing cholesterol and blood pressure. 7. People who kiss often have lower chances of getting bladder, blood, and stomach infections. 8. Natural antibiotics are produced every time a person kisses somebody. Our saliva also contains a natural anaesthetic that helps in reducing pain. 9. Kissing keeps your mind clear by getting rid of anxiety and all the “noise” inside your head. It increases the level of oxytocin in the body which helps in calming us down and produces a feeling of peace. 10. The endorphins released during kissing is 200 times more powerful than morphine.